Pure strategy – No complex control schemes, and no micromanaging vast armies with multiple objectives – just strategic troop placement, deciding when to attack and which objectives/territories to take over. The amount of strategy in Factions is great, especially for those uninterested or intimidated by the complexity console strategy games. Everything you need to see is visible on the screen at any time, and the turn-based nature of the game allows for the player to take his or her time making decisions about the next move. Good sense of humor – The campaign, while short, is well written with funny, animated cartoon characters. Most of the dialogue is cheesy, but I found that some of the game’s jokes were surprisingly clever for an XBLA board game, and took jabs at our society’s apparent obsession with LOL Cats and zombies. I found myself laughing out loud at some of the characters’ quotes on more than one occasion. 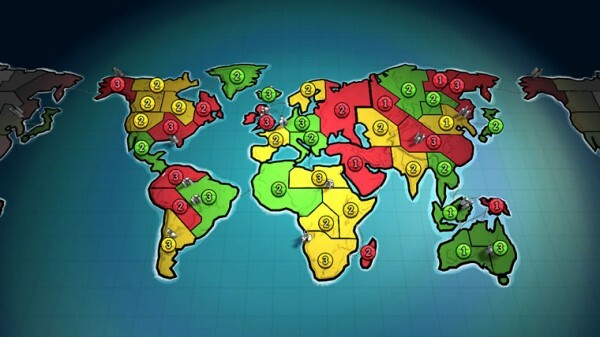 Classic Risk – If the game’s new mode that focuses on capturing objectives to win turns doesn’t appeal to you, then you’ll be happy to know that Classic Risk mode is included. This mode features the classic rules that fans love, and is playable both locally and online. 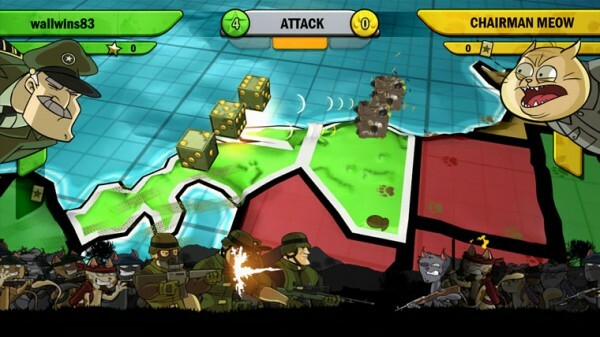 Repetitive Music – The main track that plays during battle is great, and is perfect for epic world-encompassing battles. But it’s the same thing, all the time, constantly repeating. It would’ve been nice to at least have a few variations of the theme based on what faction you were playing as, but no. At least there’s the choice for custom soundtracks or to just turn the music down all together. There wasn’t much else disappointing about Factions. The campaign is extremely short, and I would liked to have seen a story to go along with each of the factions, mostly because I found them so entertaining. But Risk is designed as a multiplayer game, and Factions is no different. There is fun to be had by yourself, but getting the most out of it means playing it online with other players. 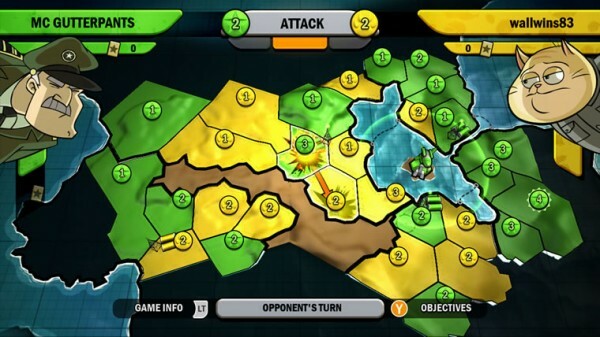 If you’re looking for an online strategy game, then look no further than Risk: Factions.